Save Don to your Collection. Register Now! 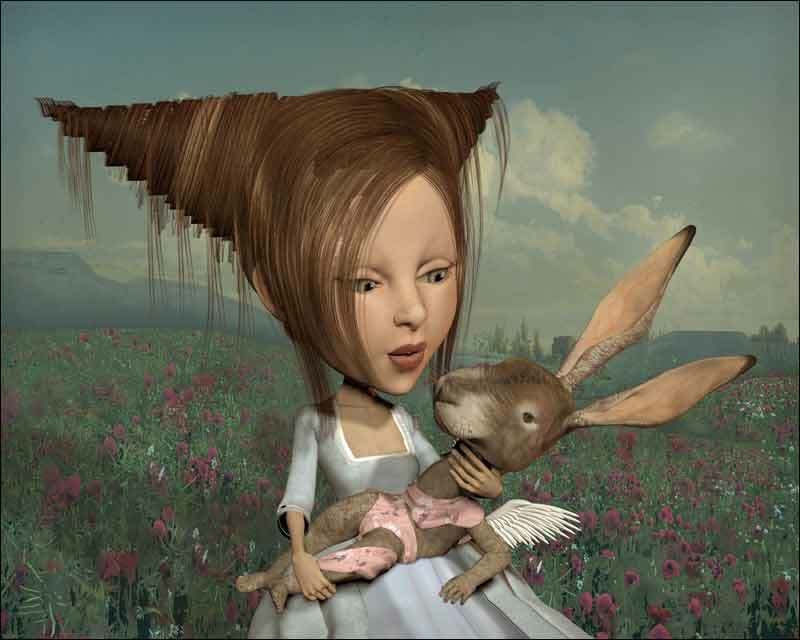 Don Bergland is a professor of Art Education at the University of Victoria in BC, Canada and has been an active exhibiting artist for over 50 years. He describes his current work as a version of Neosurrealism with the objective of eliciting questioning attitudes in the mind of viewers. He creates his work using both traditional and digital tools, focusing on an integration of 3D modeling software and various graphic processing programs. Each of his artworks features a theatrical set defined by a stage with actors, props, and a backdrop. The actors in the set consist of everyday objects brought into combinations and interactions that attempt to elicit inquiry. The content of the artwork focuses on themes such as time, aging, nostalgia, the footless pursuit of Utopia, and the conditions of ideology which disable our rational minds. 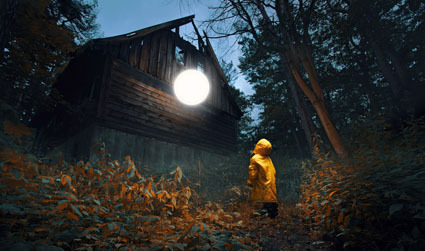 Each image is constructed using conventions of visual realism, but with alterations that offer dreamlike possibilities. Themes and objects appear and re-appear from image to image. Each artwork becomes a framed snapshot of a moment in theatrical space, noticed briefly, and then forgotten once more, a fraction of time when reality is breached and a frozen glimpse into the mental theatre of Eternity is experienced. Don maintains an active international exhibiting career and has featured his artwork in over 150 major exhibitions throughout the world. He has won over 60 creative & professional awards for his work. 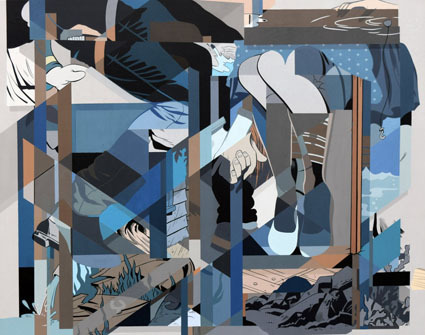 His work is represented in major corporate and private collections such as the Gulf Oil Corporate Collection (Alberta), the Madrona Centre Permanent Collection (B.C. ), the Canadian Utilities Corporate Collection (Alberta), the Timothy Eaton Foundation Collection (Canada), the Chevron Standard Corporate Collection (Alberta), as well as in private collections in Canada, the United States, and Europe. 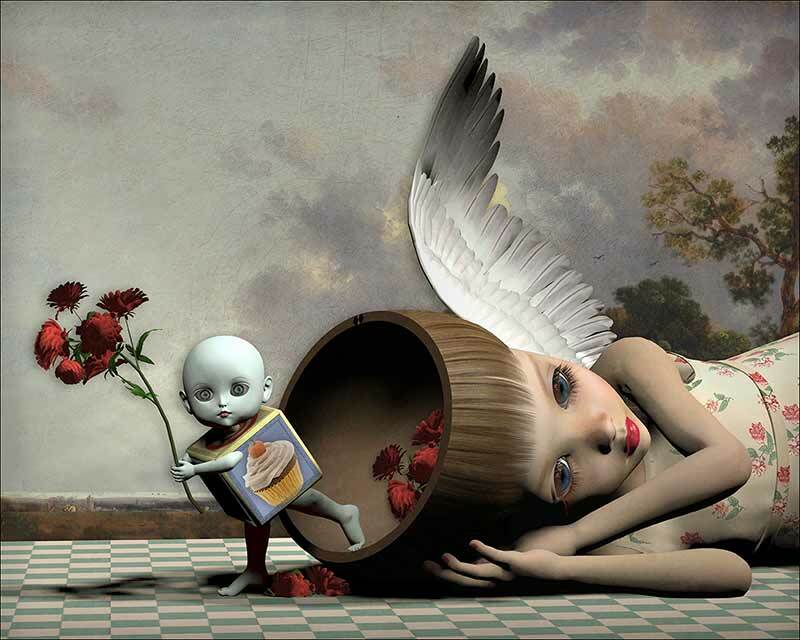 His current focus is in using 3D modeling environments to create surrealistic imagery for international exhibitions. Are you the Bergland that was selling paintings in Stanley park in 1972? painted on masonite.